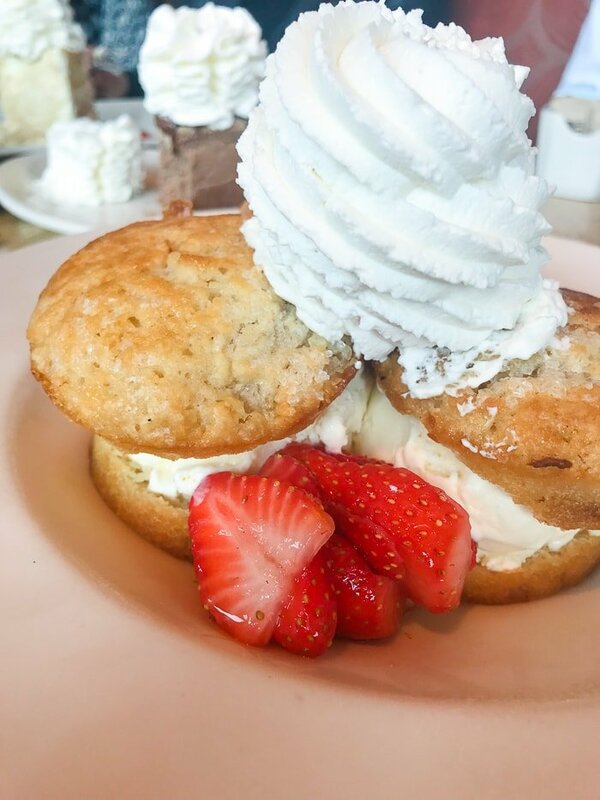 You all followed along on my adventures with The Cheesecake Factory on instagram so I’m sharing Everything you Need to Know About The Cheesecake Factory! I am in partnership with The Cheesecake Factory for this recap of my time spent at their headquarters, but all opinions and ideas are my own. Yes, I do love the Avocado Egg Rolls as much as you do, but I’ll never eat them the same after visiting The Cheesecake Factory and seeing the secrets behind the counter. I have to tell you the truth, when I was first invited out to The Cheesecake Factory I didn’t even think twice about what I’d learn. 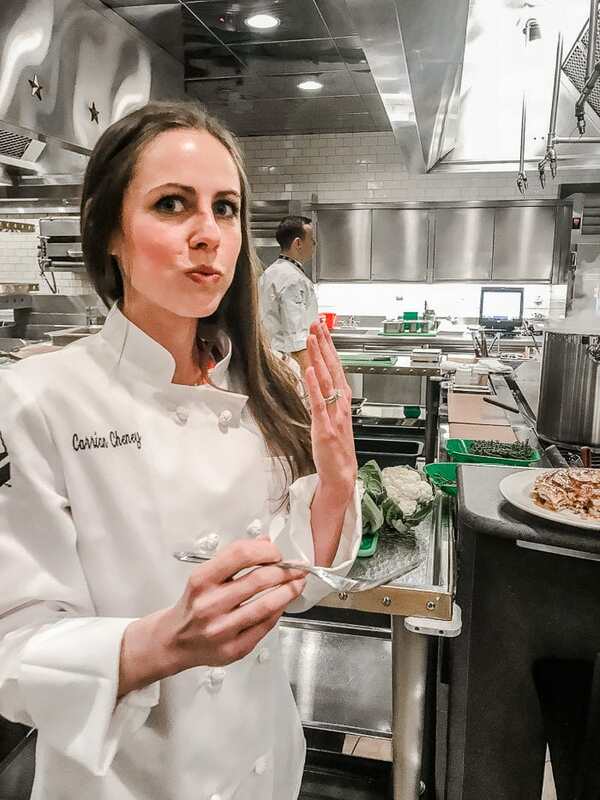 I assumed it would be about their extensive menu, the love they have for food and people and the shortcuts they’ve found work best in the restaurant industry throughout the world. Yes, the world, who knew they were all over the world?! I was not right about one major, MAJOR thing. So I’m spilling my guts on what I think you should know based on the inside views and information I was able to see and hear. As I was saying, I knew that at some point The Cheesecake Factory would bring up the few shortcuts they take in order to keep such a GINORMOUS menu running. I did in fact ask about that by the way, it’s not to overwhelm you, it’s to bring people together. It’s allowing you to bring a big ol’ party or your small family in and no matter what, there’s something for everyone. You KNOW Cade and I are all about opportunities to bring people together. 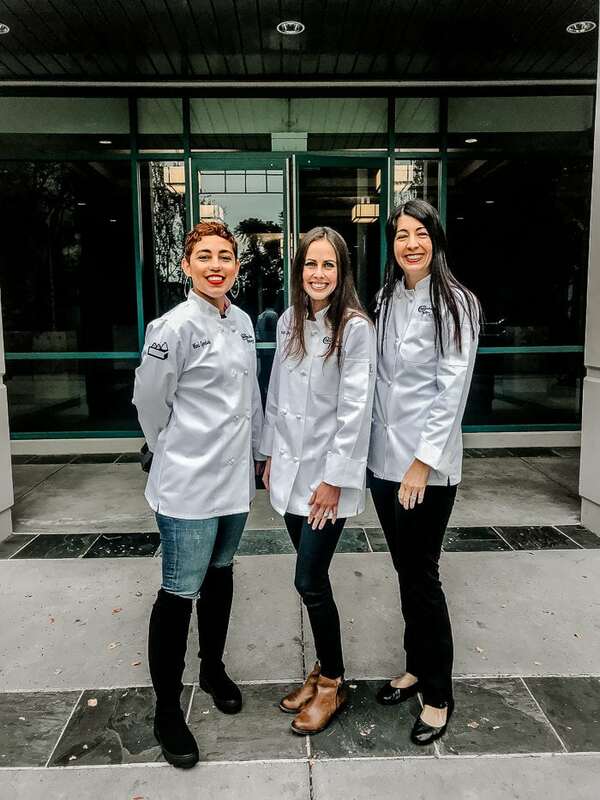 Back to my story, so it happened, we were all standing in the headquarters huge kitchen learning about how every day, every year they are testing and retesting recipes to see if they are as good as they can be. New brands of ingredients or varieties of ingredients are found and instead of just switching to something awesome they test something as small as parmesan in every recipe that uses it to ensure it’s better than it was before or they work out kinks in old recipes. 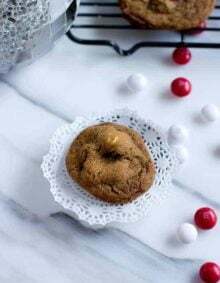 And then they said, because you know, we put a lot of care into our recipes since every single recipe is handmade, made fresh and made from scratch. What?! He went on to explain that they aren’t bringing in precooked anything, even the egg rolls are fresh rolled to order and burgers are gently formed versus buying those, even if they were fresh, pre-shaped as that can overwork the meat. You guys, The Cheesecake Factory is huge, they are all over the world and their menu is the biggest I’ve ever seen but they are even fresh grating cheese to go on your Chicken Madeira! Made fresh and made from scratch! You’ll never eat another avocado egg roll again without thinking about that! I guess the original owner didn’t know anything about restaurants so he started it cooking from scratch and it did well on it’s own so when word got out about ordering in frozen ingredients, reheating, etc he felt like, why change something that’s already working for us? And we agree. Stick with real food and people will keep coming. Which Cheesecake Factory Cheesecake is Best? Well, now that’s quite the debate isn’t it. 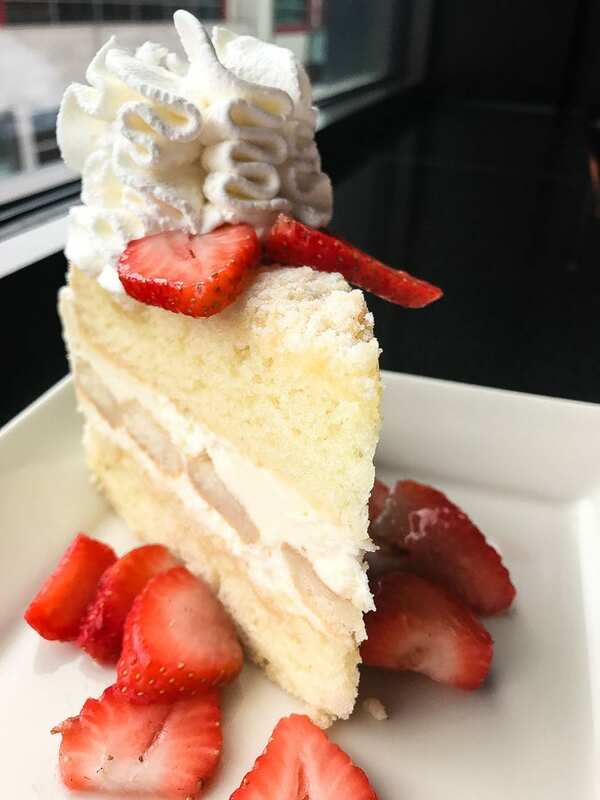 Strangely enough it’s the strawberry shortcake that I always go back to, but after talking to all of you, friends, family and the headquarters I’ve got some recommendations of which Cheesecake Factory Cheesecake is best, or at least best to try on your next visit until you find your favorite. 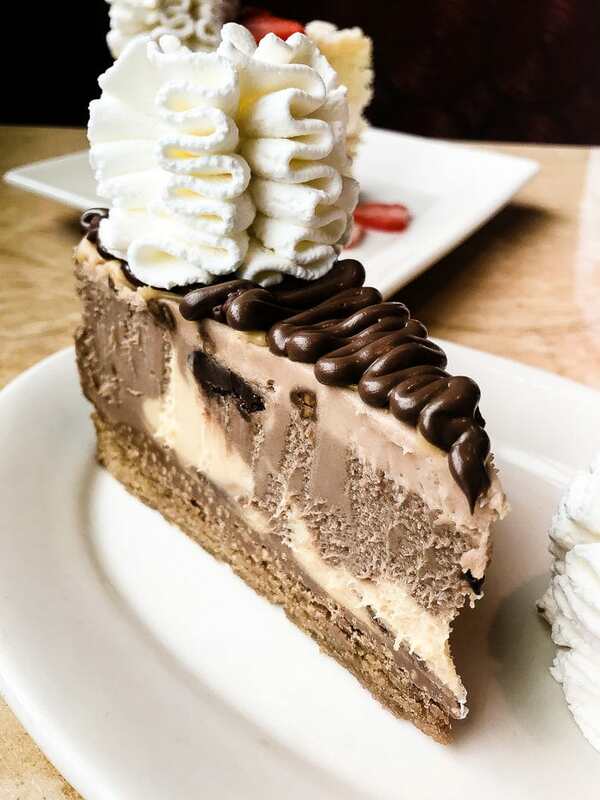 In no particular order, here’s everything you need to know about The Cheesecake Factory. Nutella Cheesecake which has this chocolatey, crunchy layer inside that is to die for. 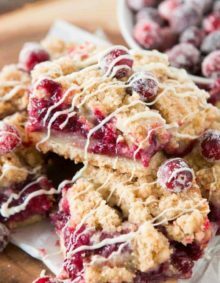 Strawberry Cheesecake is another fan favorite and I have to agree as I love any classic with strawberries. Lemon Meringue Cheesecake is so, so good. I can’t even describe how lovely those bites of lemon are! This isn’t cheesecake but you must try the lemoncello cream torte as it’s the most tender, moist cake I’ve had in years. The Key Lime, Vanilla Bean, Peanut Butter, and White Chocolate Raspberry should also be on your list? Did we miss your favorite? We would love to hear what you like! Can Cheesecake Factory Cheesecakes be Frozen? You can totally freeze a Cheesecake Factory cheesecake, but make sure you hurry on home from the restaurant and get it in there. When we take one home we ask for no whipped cream as that will not hold up well in the freezer. Place the cheesecake on a pan and freeze it by itself first. Once frozen through, remove from the freezer and make sure you wrap the cheesecake well in plastic wrap and then foil. Place back in the freezer where it should be good for about a month. If you prefer you can store a cheesecake in the fridge for 2 days. What is Cheesecake Factory Skinnylicious Menu? If you’re looking for what is healthy at The Cheesecake Factory, start with the Skinnylicious Menu. 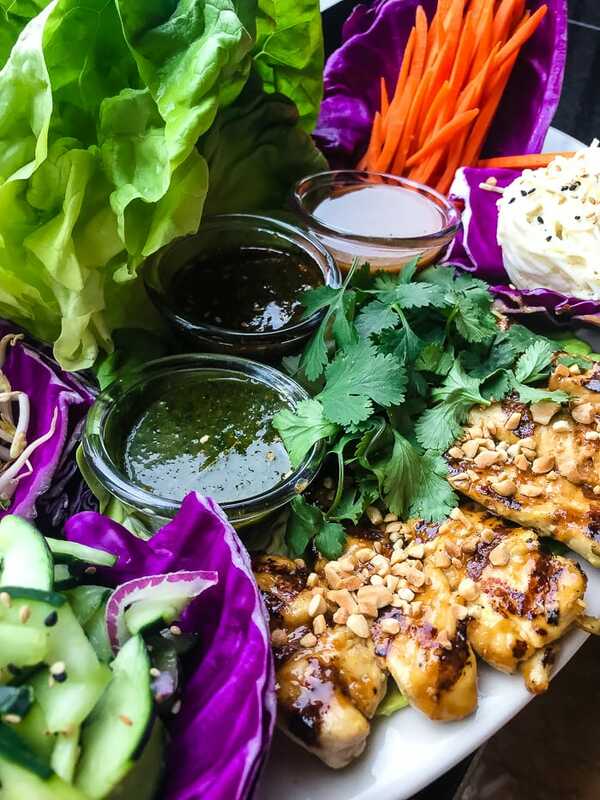 Again, everything is made fresh and made from scratch so you can count on this healthier menu to still be packed full of flavor and color just like every other dish. 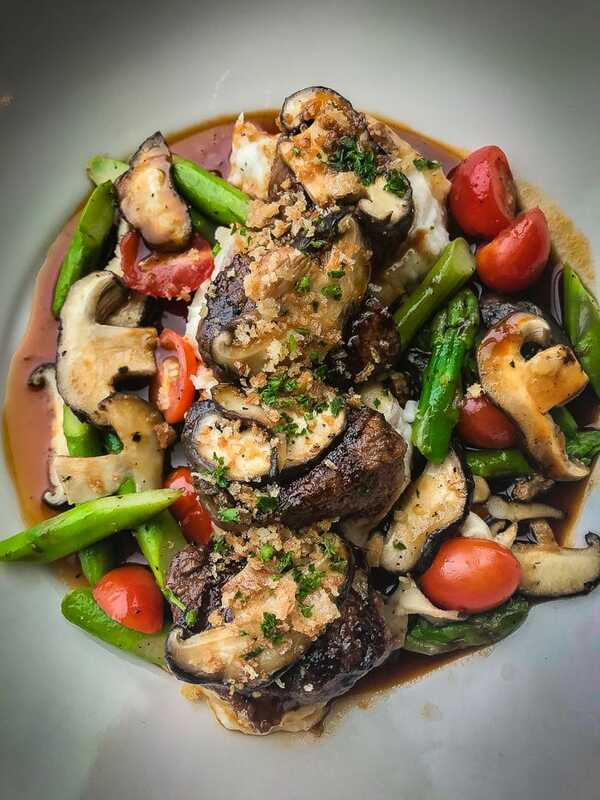 If you order from the Skinnylicious menu, try the Lemon Garlic Shrimp (my mom looooves that one) or the Steak Medallions which might just be my favorite from the healthier section. The steak is cooked to perfection! What’s Best at The Cheesecake Factory? Wondering what to eat at The Cheesecake Factory? I was too for the first handful of times we went, but the more you go the more you learn the ways. 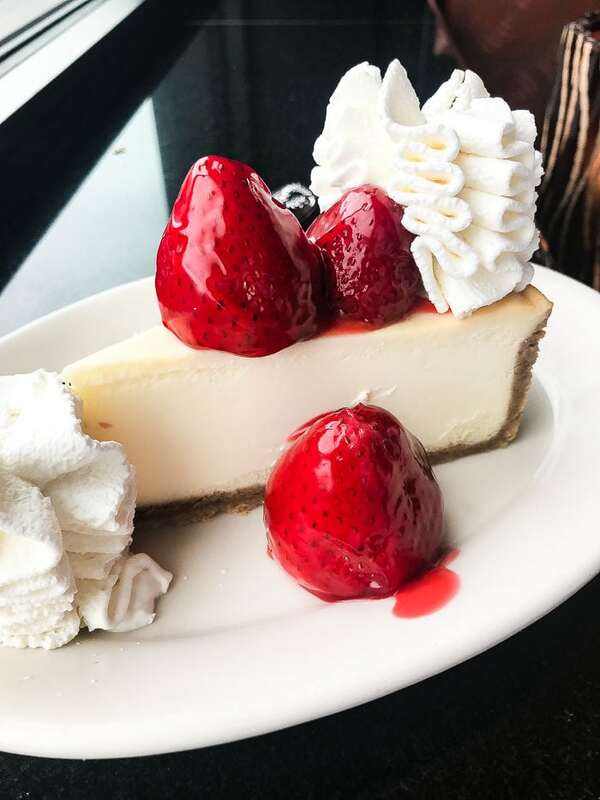 Like, splitting meals, appetizers and cheesecake is really the way to go as portions are large and easily shared between two, sometimes even three people, so snag an appetizer and dessert since you’re splitting a meal and now you get to enjoy more! 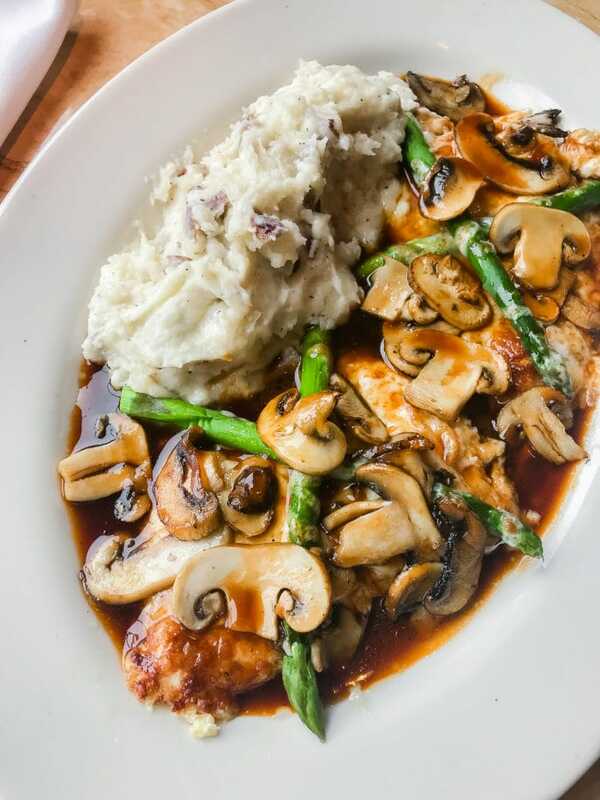 The Cheesecake Factory is famous for their chicken Madeira and I can TOTALLY see why. It’s cheesy, saucy and perfectly juicy. It’s so good but I seriously had to stop halfway through as I hadn’t even ordered cheesecake yet. Ummmmm that’s like my love language right there. 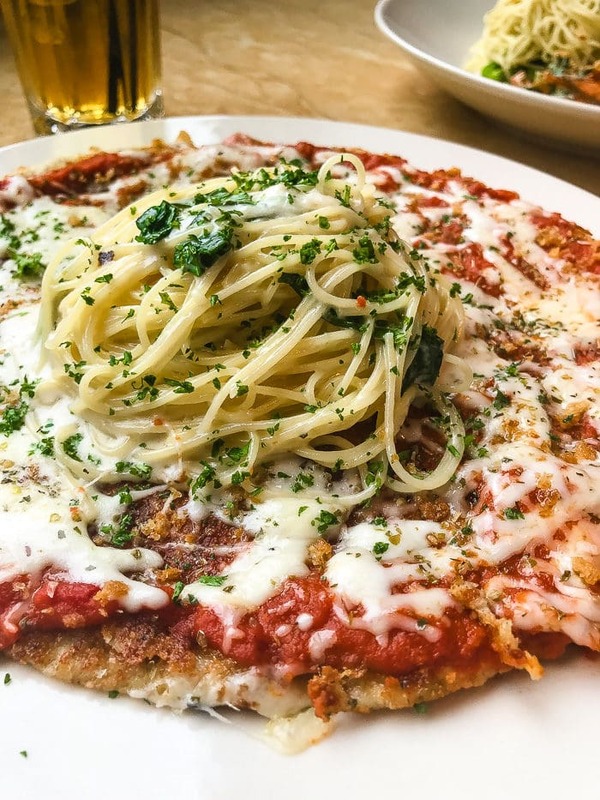 Chicken parmesan pizza, are you kidding me?! The whole crust is pure chicken, no fillers at all and holy moly it’s good. Totally going to order this next time. 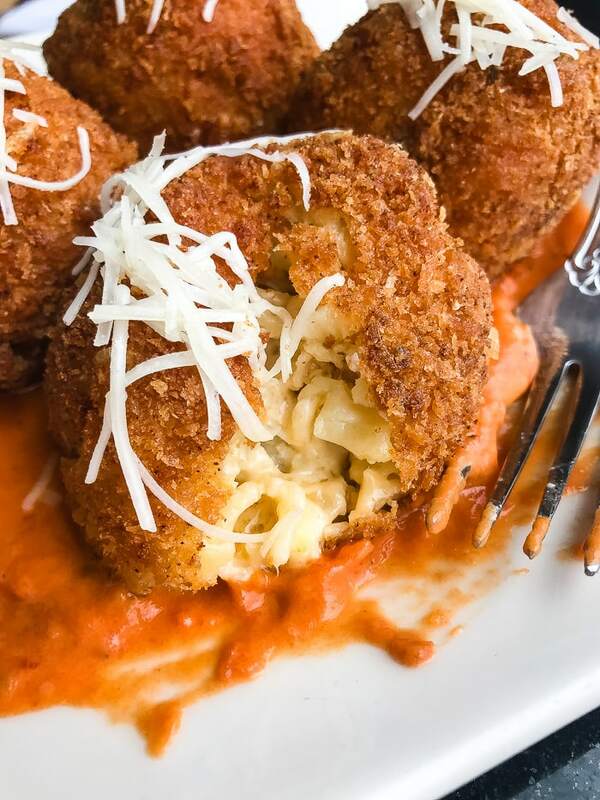 Deep fried macaroni and cheese that’s actually as good as you had hoped. I’ve had a lot of these and 9.9/10 are dry. This ball of deliciousness is made fresh, made from scratch, gooey, cheesy deliciousness and that’s just about all I need in life. Can I get an amen? 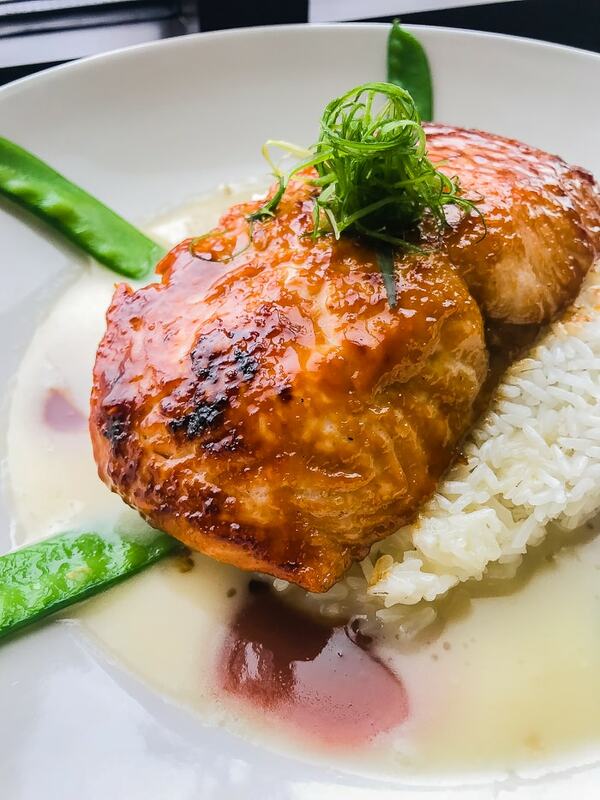 Miso Salmon, yes, I heard you all when we asked what your favorite dish is at TCCF. It’s moist, saucy perfection and that rice is perfect! Oh how I hate poorly cooked rice! Thai lettuce wraps at the Cheesecake Factory are literally the most beautiful thing ever. There’s another restaurant that serves up chicken wraps eaten in lettuce, but I’ll never have another after trying these. Man, they are so good and there’s so many ways to build them with all of those extra add-ins served on the side! But these, well these buffalo blasters are hands down my new favorite find. I’ve never thought buffalo chicken mattered, but man, I’m OBSESSED!! 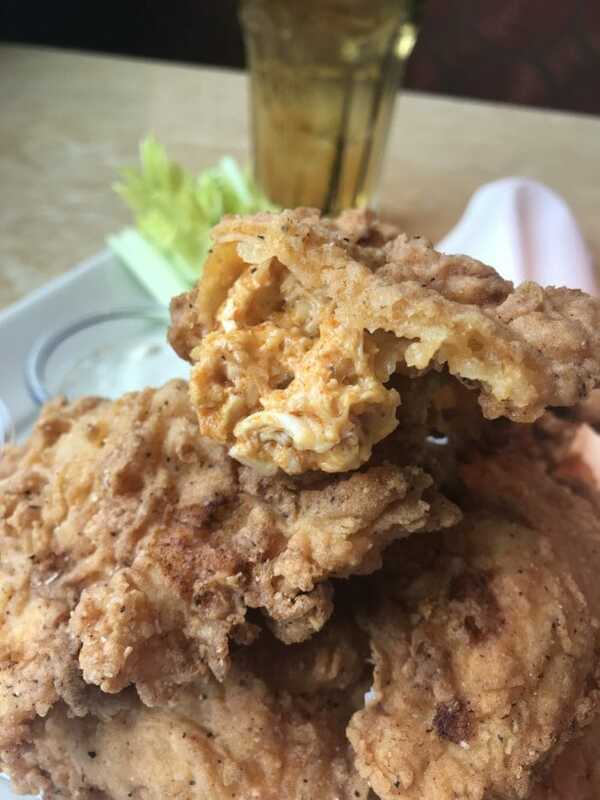 The perfect amount of crunchy crevices and the gooiest, most flavorful chicken EVAAAHHHHH inside. And I’m craving it again now. WHAT?! How did I not know you could go to brunch at the Cheesecake Factory? 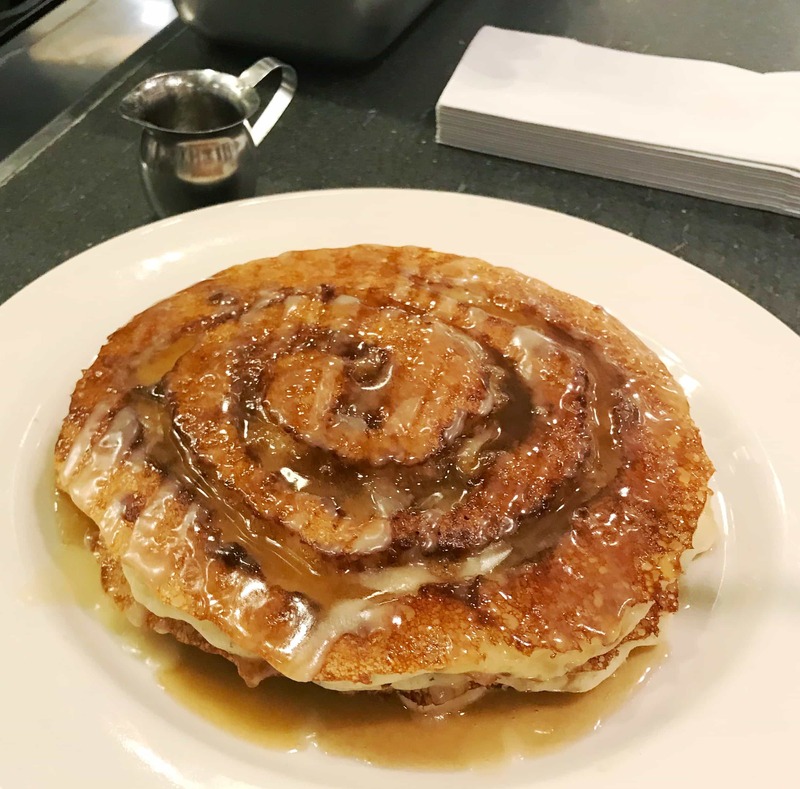 They are rolling out HUGE cinnamon roll pancakes that are absolutely to die for good. Like, I couldn’t get enough! It’s so stinking good! You’ll see I totally got caught red handed. To die for!!! I cannot say it enough!! So in the end what happened? What happened is I went from thinking that the Cheesecake Factory had quite a few restaurants and was good but was probably taking shortcuts to finding out they are all over the world and serve the exact same thing everywhere because it’s just that good. Everything is made fresh and made from scratch. EVERYTHING. Their test kitchen works all year round finding the best ingredients so that at any time they can change the salmon if they find a better product who also checks out as safe, ethical and so on. 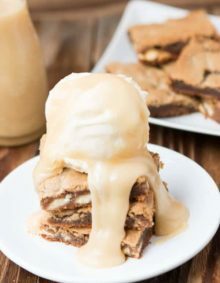 I’m kind of the newest die-hard fan and I’m DYING to hear what you all think we should order when we go in a few weeks. GO! Can you please share few real recipe from the Cheesecake Factory ????????????? The deep fried macaroni and cheese is amazing! The first time I went to Cheesecake Factory years ago, I tried the Bang Bang Chicken and Shrimp. I have never had anything that make my mouth water more than that dish – it is absolutely AMAZING! I’m glad to hear they make everything fresh! My only complaint is that they don’t have a kids menu, but beyond that, I LOVE Cheesecake Factory! My kids order off of the kids menu at Cheesecake Factory every time we go here in AZ and in CA. Maybe ask again next time you go! That’s what we had on Friday and holy yummy!!! 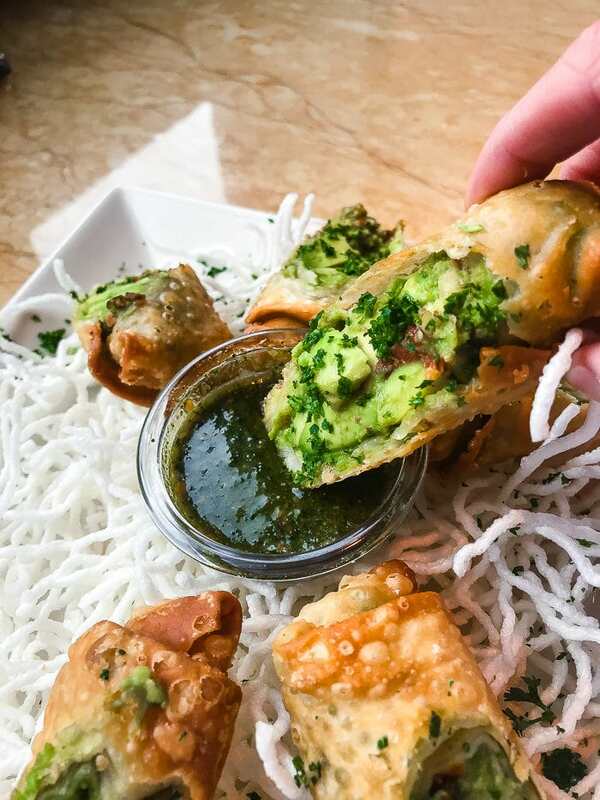 I’m a creature of habit and while I already LOVE so many things there my favorites are definitely the avocado egg rolls, their blue cheese dressing (I usually get it on a house salad but always ask for extra to dip the yummy bread in! 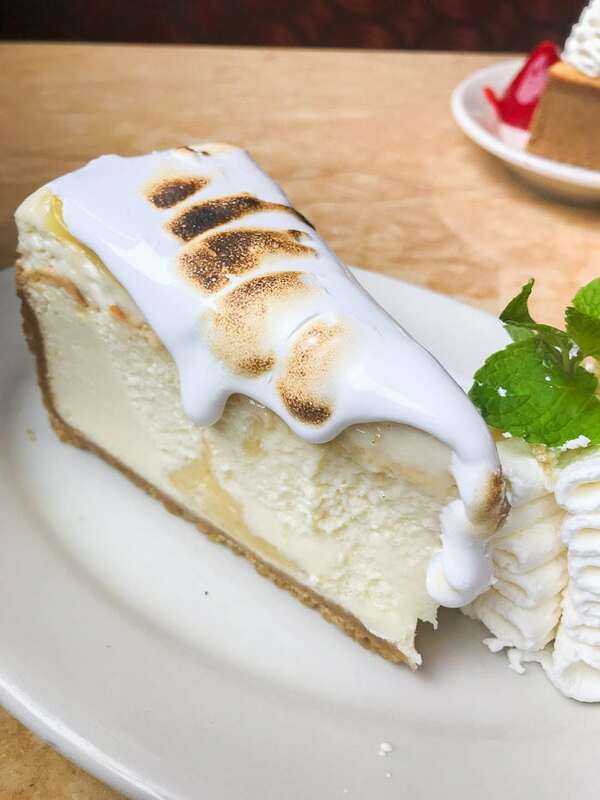 ), the mouth watering strawberry lemonade, the crispy chicken costoletta (I get the lemon sauce on the side) and my favorite cheesecake is the fresh banana-it’s killer!! I’m excited to try a few new things though! Thanks for sharing. You just can’t go wrong with those! You and I literally order the same things, haha! I’m obsessed with The Cheesecake Factory and I’ve never had a single dish there that wasn’t amazing! The Crispy Spicy Beef was my favorite until it was discontinued, but now I love the Herb-Crusted Salmon, with a slice of White Chocolate Raspberry Truffle for dessert. 🙂 Now I have to try the chicken parmesan pizza after seeing your picture! I still haven’t tried that Salmon but I need to! I can say I’m one to order the same thing every time! Now I’m so excited to go and try something new! My must have has been the factory chopped salad for quite some time now and the banana cream cheesecake! Yum! That chopped salad was huge and looked amazing!